A practical, results-focused masterclass that gives you everything you need to create an Executive Summary for business angels or crowdfunding investors that really sells your investment opportunity. 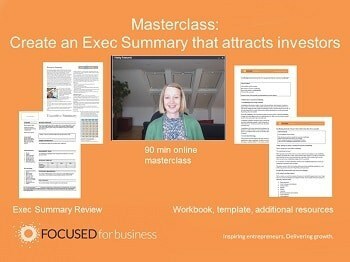 In addition to the live and interactive online masterclass, if you submit your draft Executive Summary (using the template provided in the Masterclass) the course leader, Hatty Fawcett, will conduct a review of this and provide detailed feedback and suggestions for improvement, giving you additional confidence that you have an Exec Summary that will attract investors. Places are limited to ensure a good interactive experience. 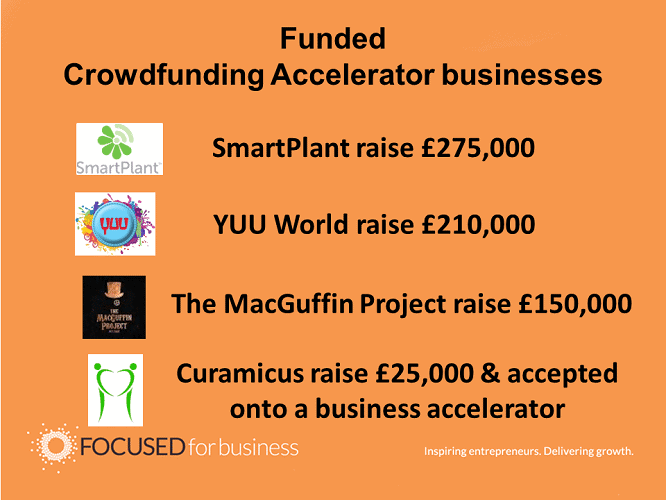 Crowdfunding Accelerator graduates have raised almost £660K of investment for their businesses. They’ve all worked hard, done their homework and reaped the rewards. Congratulations to all our graduates. 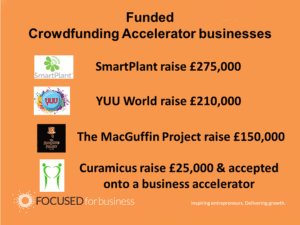 Crowdfunding Accelerator, an eight week online programme, makes it quicker and easier to prepare for crowdfunding, focusing your attention on the things that really matter.